Established in 1896, Daimler is one of the oldest automobile brands, with a rich history filled with tradition, luxury and royal patronage - Daimler has been the choice for many royal houses across the globe. Now a dormant brand, this Daimler Super Eight is one of the last ever produced. With the intent of restoring and preserving the finish for many years to come, for the exterior and interior of the Daimler, the complete Gold Detail was the package of choice. 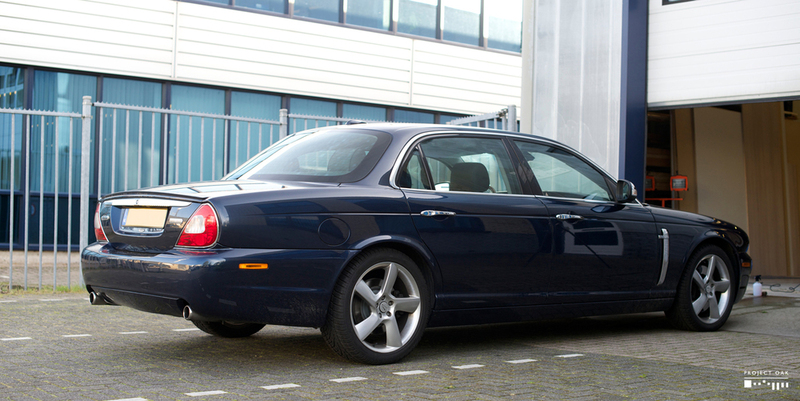 Despite always being cared for, with 140 000km done in 6 years, this Daimler Super Eight was well used. This road experience left the vast blue paint surface with severe swirls from many brush washes. 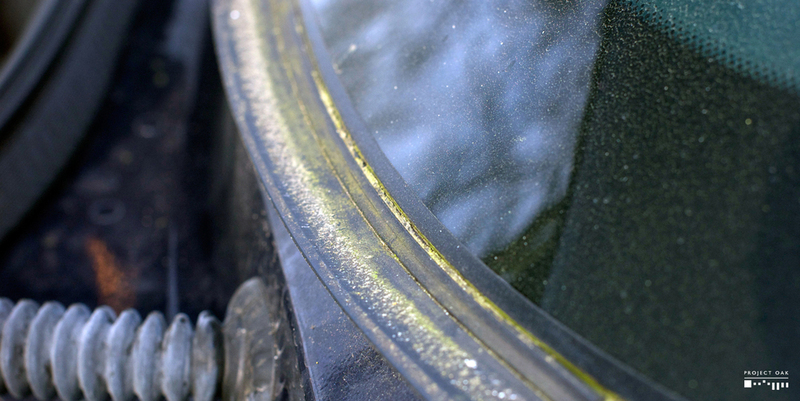 The chrome trim was oxidized, specially in the areas below the window line. 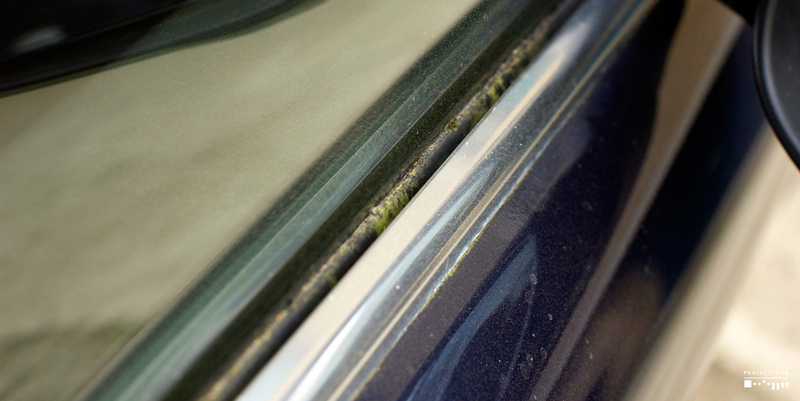 Signs of parking under plant life were evident on all of the exterior rubber trim, with moss developing in some of the areas. 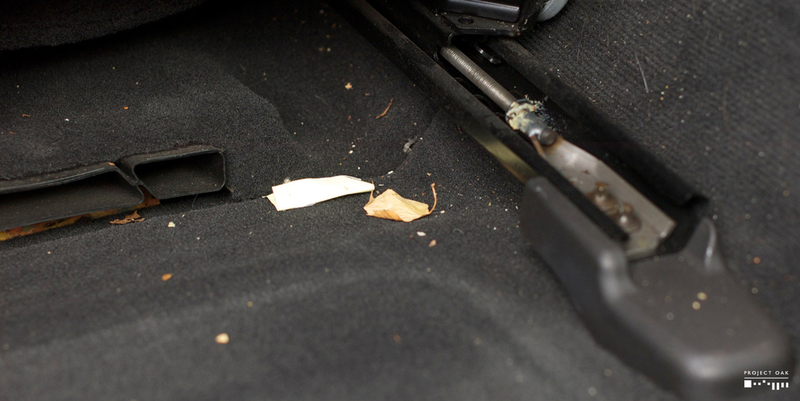 The high quality leather interior had lost some of its suppleness and looked tired. With so many areas requiring special care, the Daimler was to be the focus of relentless attention for more than 60 hours. Daimler Super Eight before washing begins. 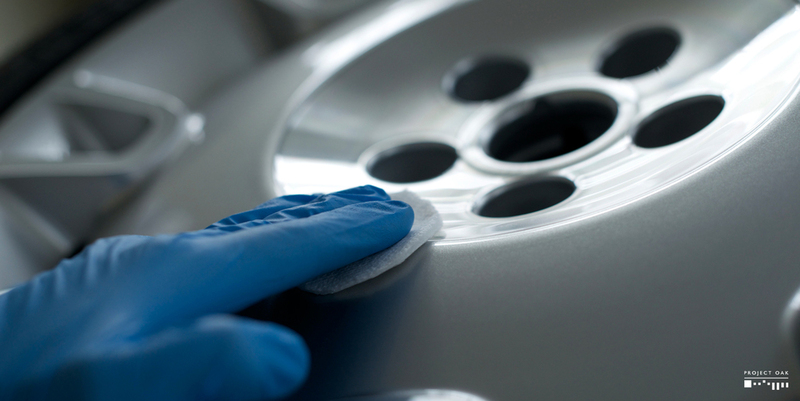 The detailing process started with a complete exterior decontamination, ensuring that every surface and corner was free of dirt and ready for polishing. 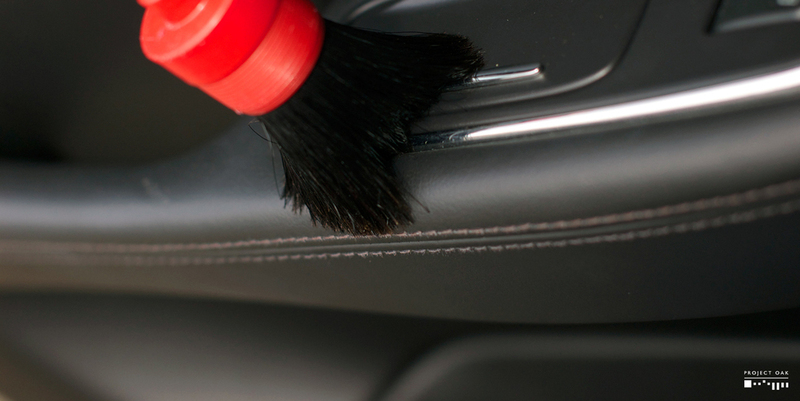 All trim, door jambs and hidden corners were cleaned with a soft boar hair brush. 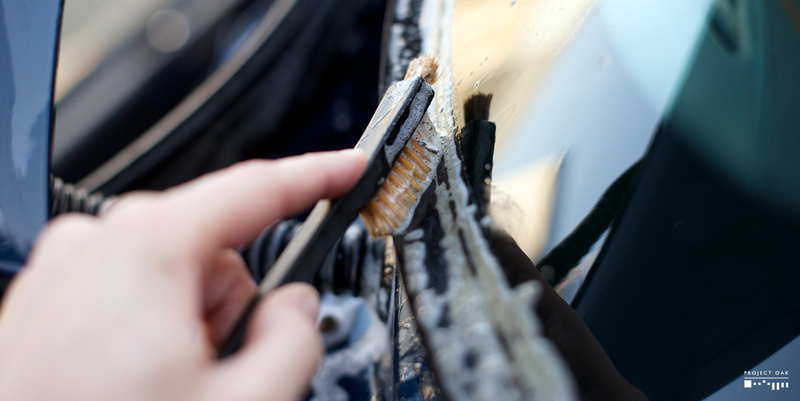 The window rubbers were scrubbed clean, removing all moss and stuck dirt. 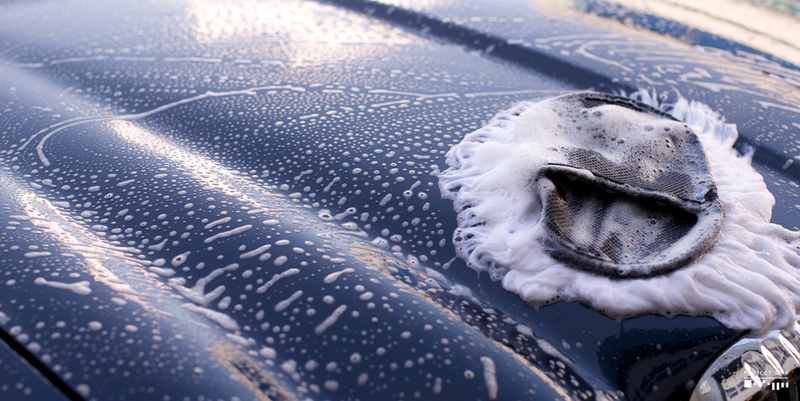 The whole car was then washed with a plushie merino lambswool mitt, that is gentle to the paint. Afterwards the paint was decontaminated in two steps: first iron decontamination and then claying, ensuring a cleansed paint surface. Merino Lambswool mitt ready to gently wash the Daimler. 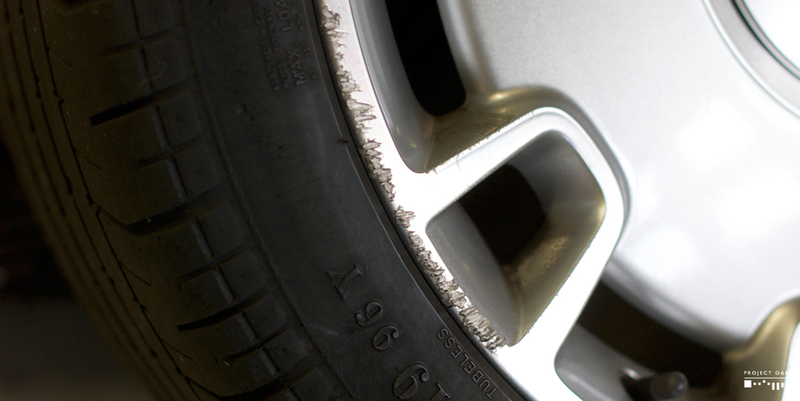 The original Super Eight wheels were displaying oxidation on the diamond cut surfaces and damage from curb rash. Being such a rare and unique wheel set, it was decided to refurbish them to the highest standards. 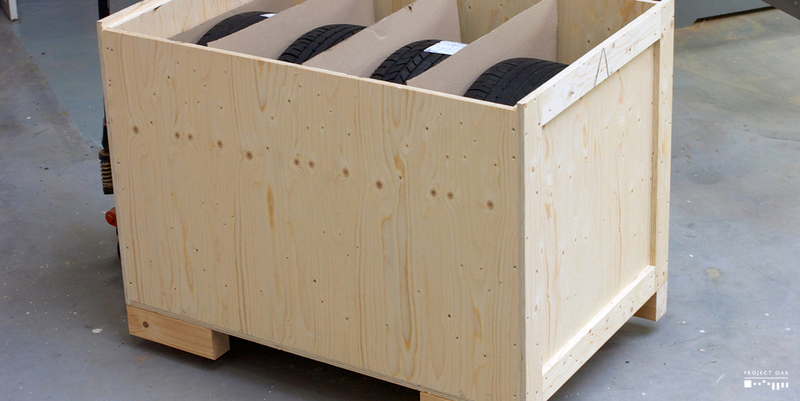 They were packed carefully in a dedicated wooden crate and sent to a specialized company in the UK for repair. 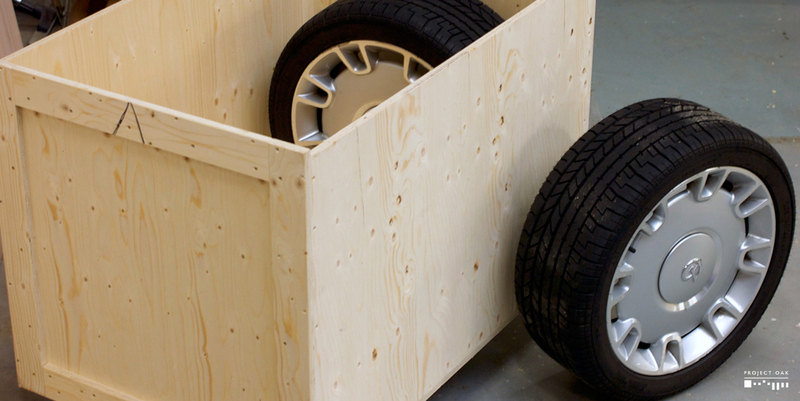 One week later they were returned in pristine condition, now truly fitting of a Daimler. 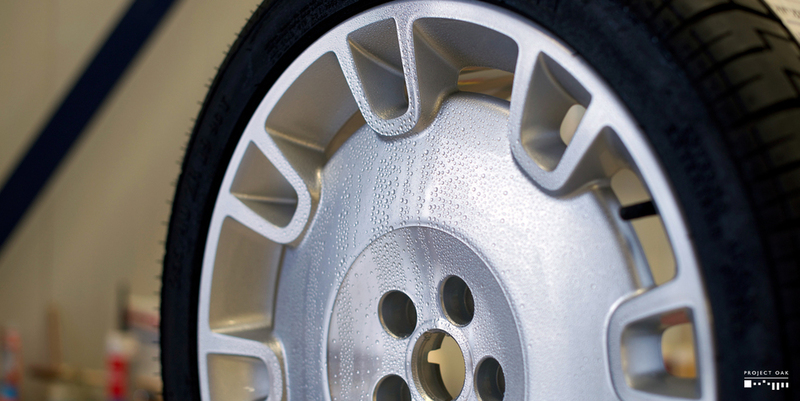 To assure the preservation of the new finish, they were treated with high quality wheel sealant, which offers more than a year of brake dust and contaminant protection. After refurbish. 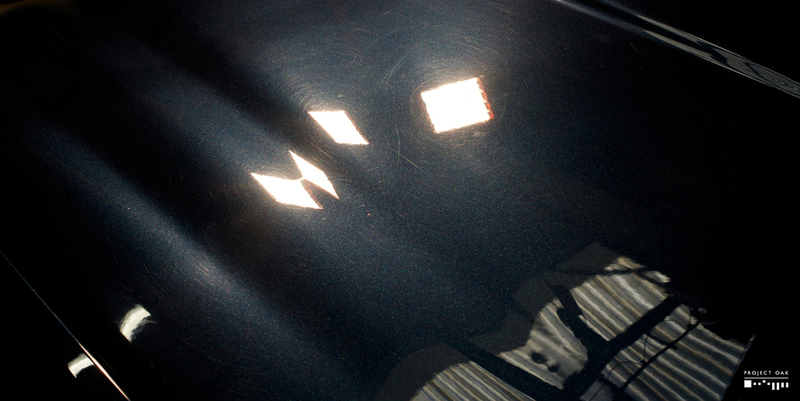 Deep finish on the silver and the diamond cut edges. 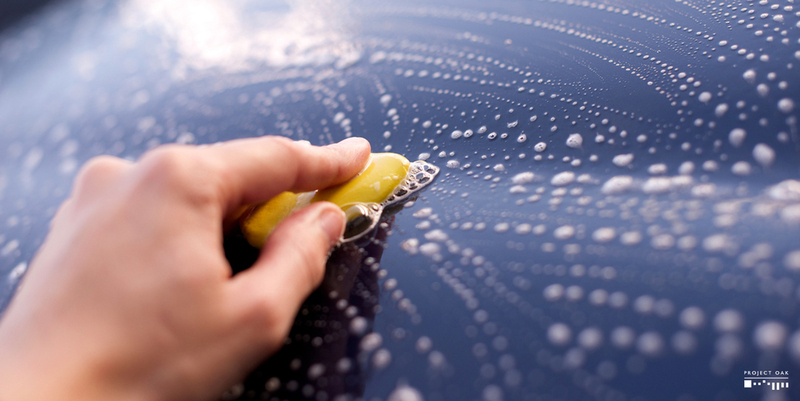 After vacuuming, every plastic surface was washed with a specialized interior cleaner, removing all dust and grime from daily driving that has accumulated through the years. 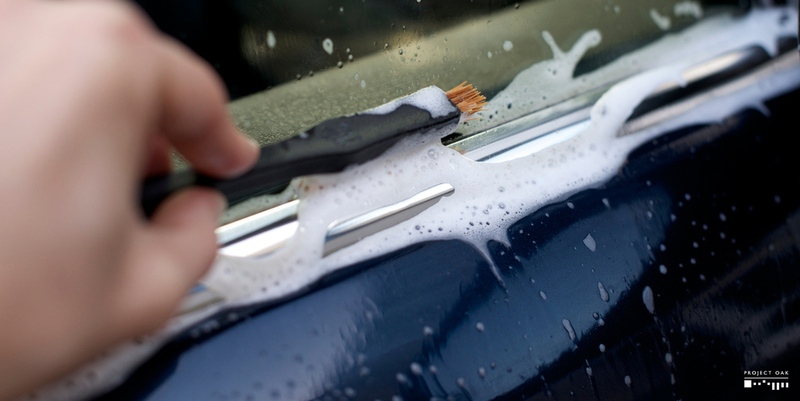 Special attention was spent on cleaning the air vents, using Q-tips soaked in a washing solution. This will help reduce the amount of smells and dust that is thrown around when the ventilation is operational. The wood trim was all hand polished and waxed, restoring the gloss and the deep shine deserving of this woodwork. Dirt before the interior detail. The woodwork after manual polishing and waxing. 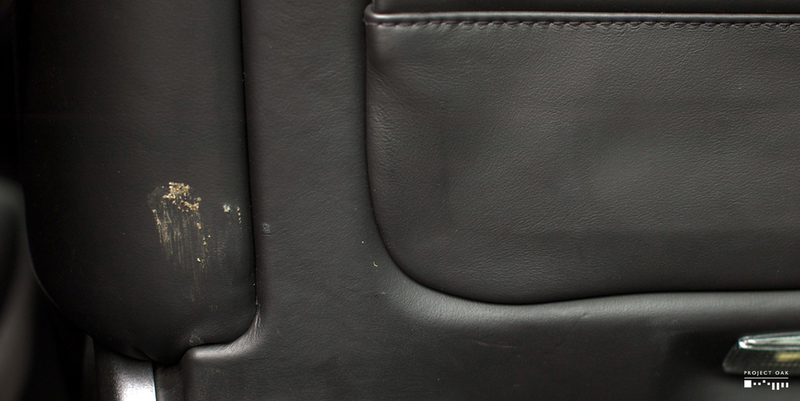 Despite the mileage, the beautiful leather of the Daimler was in very good condition, with barely any noticeable wear and tear, even on drivers seat. However, the leather seams were filled with dried sand that lodged itself quite firmly into the leather. 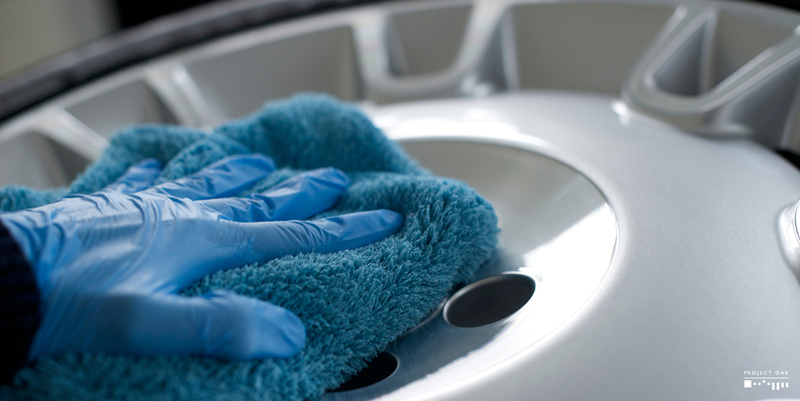 With the help of a gentle brush, every seam was meticulously clean and the sand "pushed" into the vacuum. 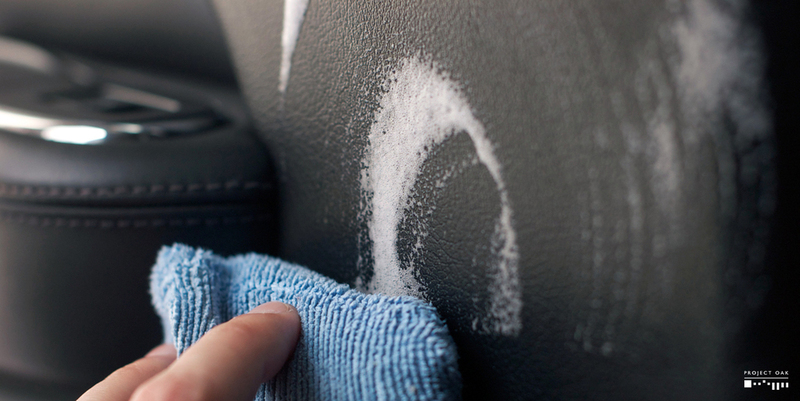 With no more grains to serve as a sanding catalyst, the leather was washed with LTT's specialized foam cleaner. The last step was to feed and protect the leather, leaving with soft to the touch and with a natural shine. 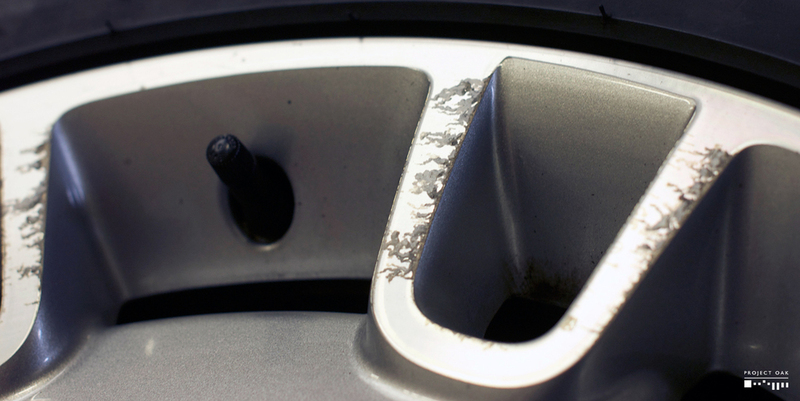 Caution was necessary, as paint thickness readings were inconsistent throughout the car. 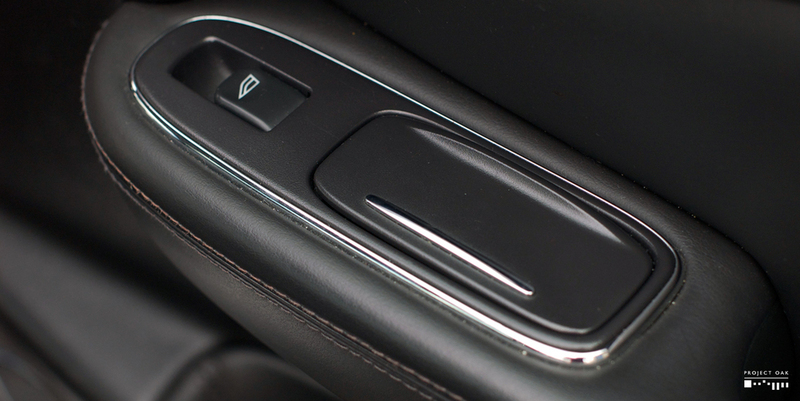 This proved to be a challenge in creating the same level of finish throughout the car. After more than 40 hours polishing, the colour was transformed into a deep blue, reflective and gloss, a finish that could possibly outmatch the day this Daimler left the Coventry factory. 50/50 of the rear passenger door after first 2 hits of polishing. 50/50 on the bonnet. Polishing the wavy surface was a great challenge, with fantastic results. Approaching the end of this lengthy process, there were just the final steps remaining. 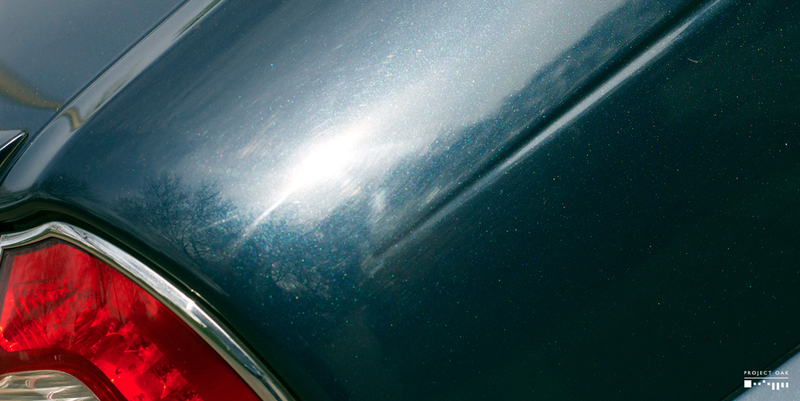 All chrome trim was polished, removing the oxidation and leaving it with a deep shine. The winter wheels were removed and the original wheels were installed and torqued to spec, finally filling the space that they were meant for in their like new condition. And to close the detail, two layers of the super sealant EXO v2 were applied, which will protect the finish for more than 2 years. Polishing the traditional Daimler grille chrome slats. Much care was taken on the irreplaceable Daimler grille. Of these there are no more. Wheels were torqued to spec. It was a beautiful sight to see the Daimler roll out of the garage into the sunlight and to observe the fruits of the detailing labor. A true transformation for this daily driver, from the wheels, the leather to the paintwork, now restored to as new condition and ready for many more kilometers. Despite a Super Eight being a rare sight on the roads, I hope I will see this car being enjoyed and preserved as part of automobile history for decades to come.